Join us for our Block of the Month Quilt 2019. This quilt will be a sampler. 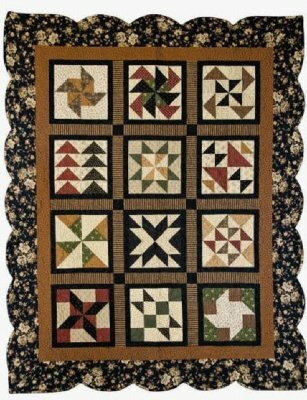 You will receive a pattern for 2 blocks each month as well as a demonstration on how to complete your blocks. This will run through June. The only special item required is an Easy Scallop Ruler which will be in stock in the store for purchase. The cost is $10.00 per month!